London based rapper Kelvyn Colt is about to blow up! Prepared with dope lyrics, his unique voice and banging beats he has everything it takes to brake through. 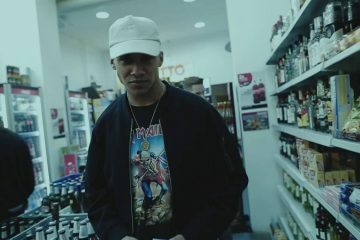 His debut EP “LH914” came out in November 2017 and since that he gained lots of fans plus the attention of labels and blogs such as Four Music or Highsnobiety. Recently Kelvyn teamed up with Highsnobiety and BWGTBLD to create moviesque visuals for “Bury Me Alive”. It’s the second single off his debut and also my favorite joint on the EP. Watch the full video for “Bury Me Alive” above and cop his debut EP “LH914″ here.